When you go to a live concert you’re hoping to hear your favorite songs. But of course you want more than that, you could stay at home and listen to the albums if that is all you wanted. You are looking for atmosphere and some connection with the band. 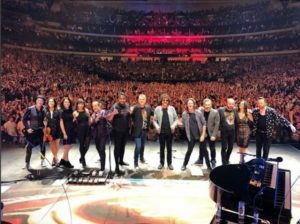 In most cases you don’t want them to change the songs too much – although with artists like Bob Dylan you almost expect it – so you are hoping for some background to the song or when it was recorded or any tidbit that gets you closer. For example, “I wrote this song in ten minutes coked to the gills and I could barely breath let alone write, but I think it came out ok.” It is different for each artist, the best ones know how to work the crowd into a frenzy. 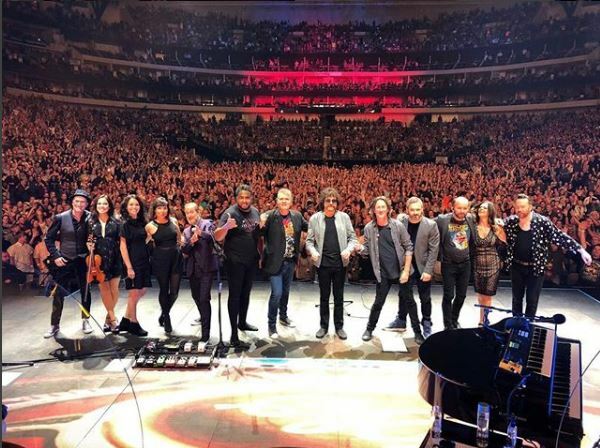 Jeff Lynne’s ELO on Monday night in Dallas were note perfect but with very little connection. Jeff sang great and the band sounded amazing, but pretty two dimensional with almost no interaction with the audience. Still enjoyed it, but didn’t love it. The highlight was easily Rosie Langley on Violin and she looked hotter (if that is possible) in Dallas than the video from Glastonbury below, but I didn’t have any good footage of Dallas (I did include some, and you’ll see her much shorter dress, but you could only get a good view on the large video not on the clip below). I could have watched Rosie all night for sure.